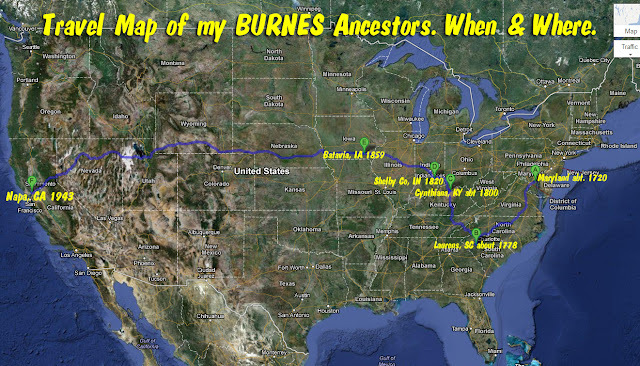 I thought of an idea to track our ancestors travels using Google Maps. This could make a very unique gift, in very little time. Take a look at my map below. On the left under the Google logo, click on "Get Directions"
You will now see an "A" with a type box and a "B" with a type box. Click on the "A" Type Box and type the location of your oldest ancestor. 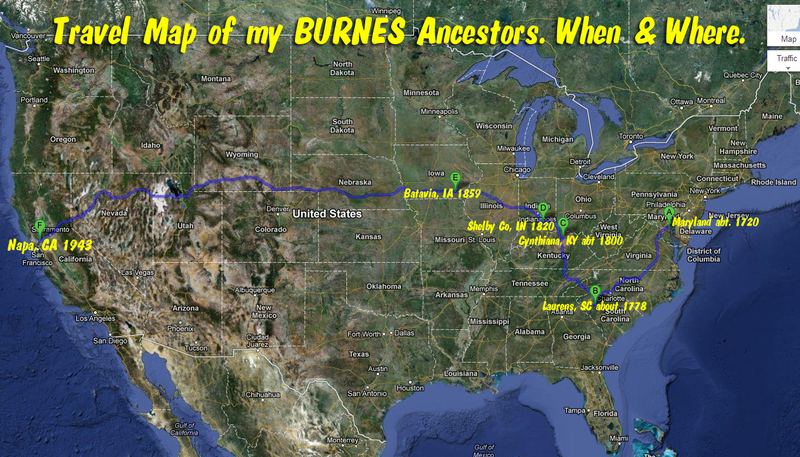 Click on the "B" Type box and click the next location that your ancestors traveled to. Click on the "ADD DESTINATION" link under the "B" for as many times as needed. Now you will see "C","D" "E" etc. Continue to add the next destinations to where your ancestors traveled to. NOTE: If you ever need to change the destinations around (Maybe "C" needs to be in the "A" position), simply drag the letter to that position and your map automatically updates. Last, take a screen shot of this map by pushing the "PrtScn" button on your keyboard and save it to your hard drive. That's it. Super easy right?? If you want to take it a step further, you can add, text of places and dates in either Photoshop or Microsoft Word and crop it like I have done on mine. Remember to save this map by clicking the "MY PLACES" tab at the top next to get directions. then click on "CREATE MAP". Give it a title, then click the "DONE" tab. Frame it for an amazing gift!! Lots of fun to do! this map has two qualities useful and fun. it is so impressive.